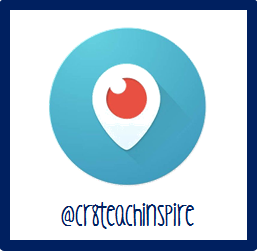 creating-teaching-inspiring: Can't believe its almost over! I can see the light at the end of the tunnel, but I am so sad to see these kinders go! We have been so busy in the classroom with tying up loose ends with assessments, animal studies, addition/subtraction, measurement, reading and comprehension and focusing on handwriting. Wow it has been a busy month! 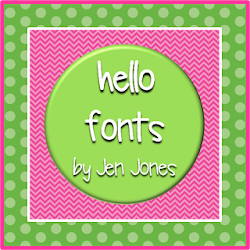 One of my favorite centers that we can done this quarter is with my shells from spring break. 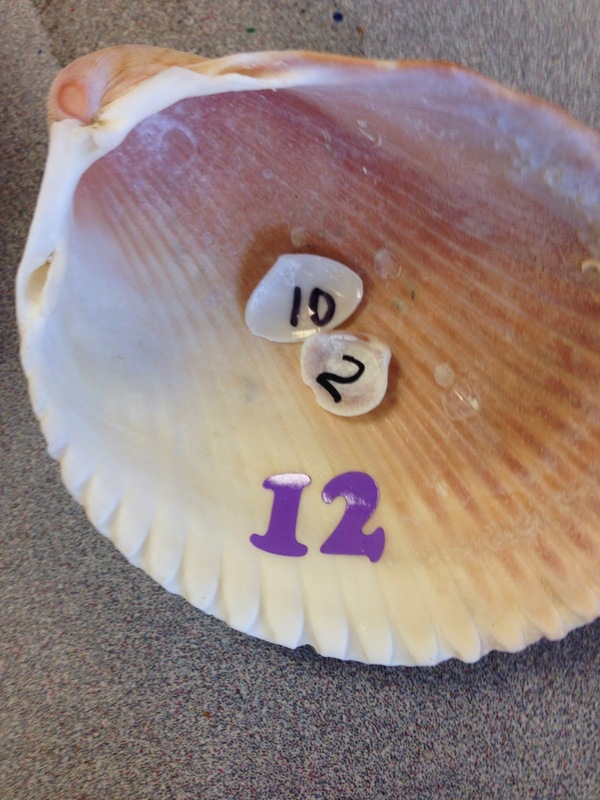 I gathered a TON of shells while at Shell Island this summer in the Florida gulf and created a fun, engaging math addition center. This is a missing addend center. Students get a large shell and one small shell. They then need to find a second small shell that will finish with addition problem. 10+___=12. 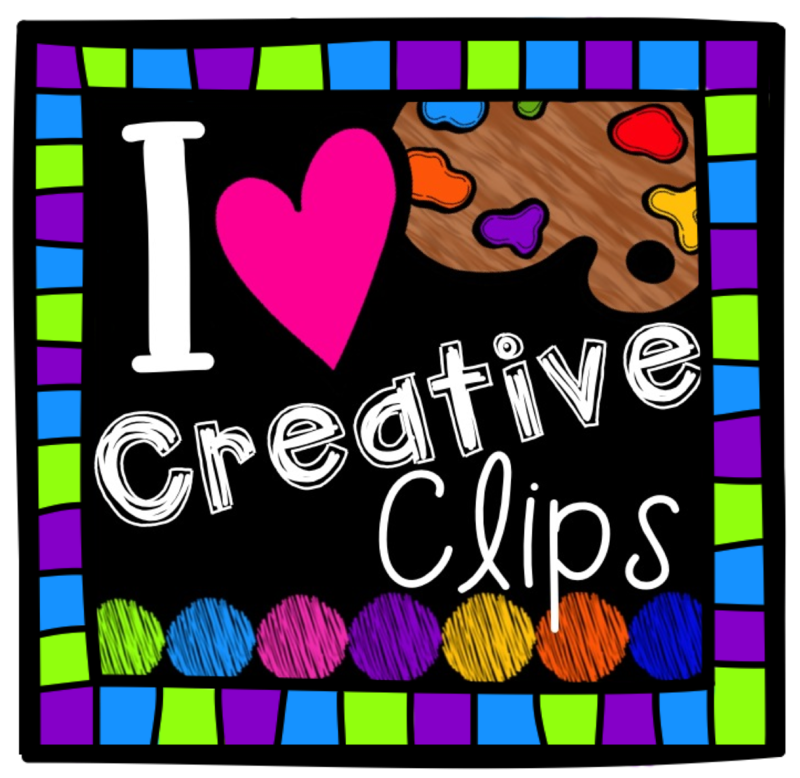 This is a tough skill for kids to master, so the more engaging centers I have, the better because I rotate them weekly. 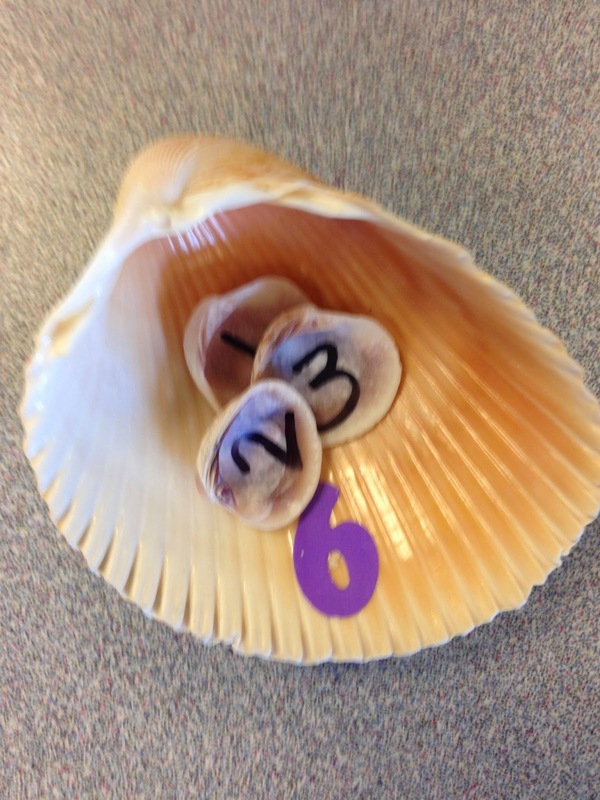 To make this center a little more difficult...I have the kids pick three small shells and add the numbers up! Then they place the small shells into the big shell sum. 1+2+3=____. This can be used as a "find the sum" center or "missing addend". We have also been working on measuring. 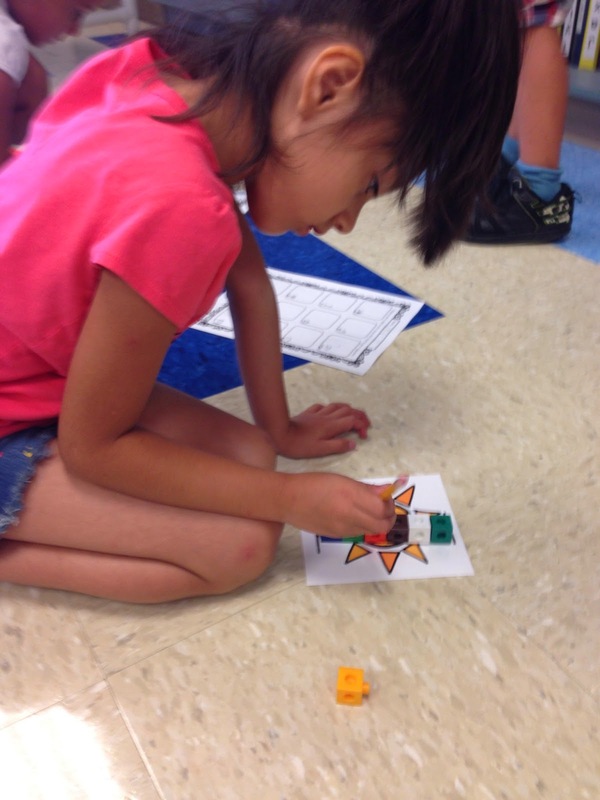 We used a measurement notebook and the kids went through 12 different centers in 2 days. 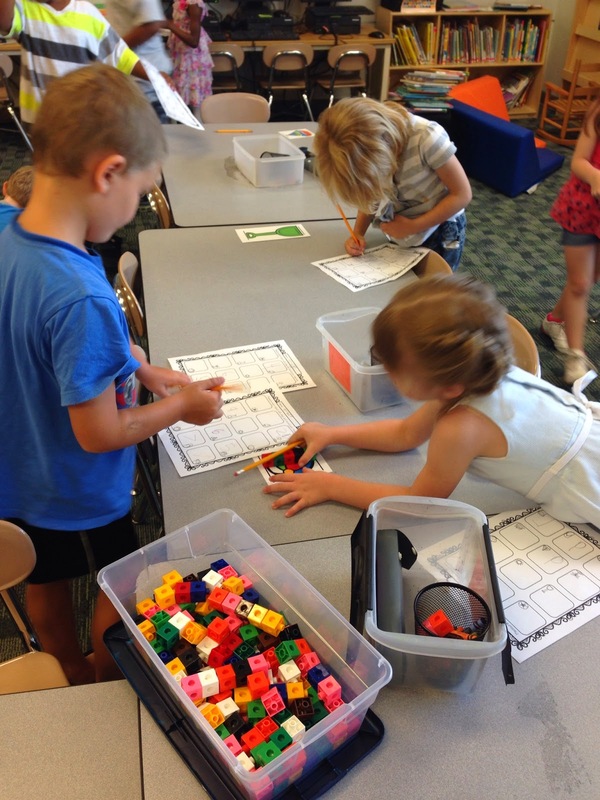 They were able to practice measuring with blocks, chips, little plastic bears, paperclips, index cards, straws and post its. We measured our feet, lines of tape, and how tall we were. 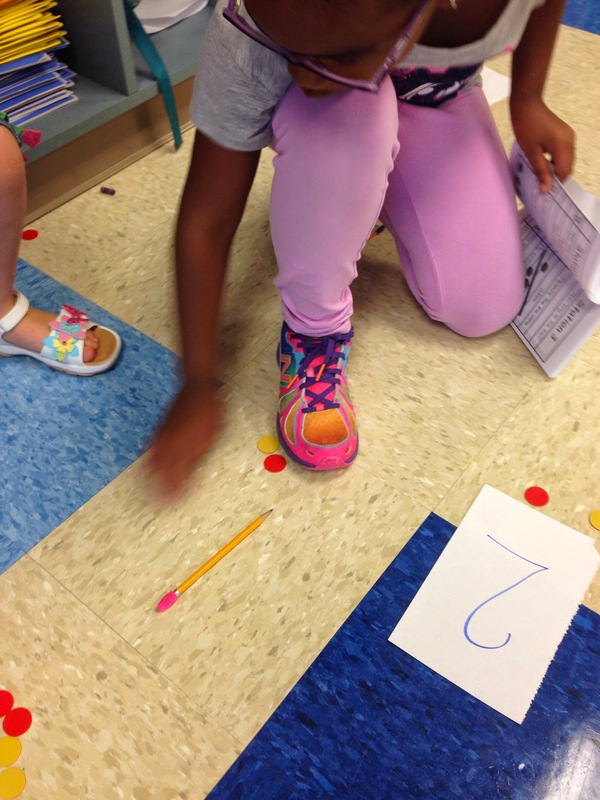 We also used my Quarter 4 Math Centers in an around the room activity. It is always good to get up and moving the last few weeks of school as we are antsy as it is! The kids loved measuring the beach theme pictures and they practiced essential math skills that I assessed by observation. I call this a win-win! In Literacy we have been doing some animal studies with snails, pill bugs, worms, and fish. 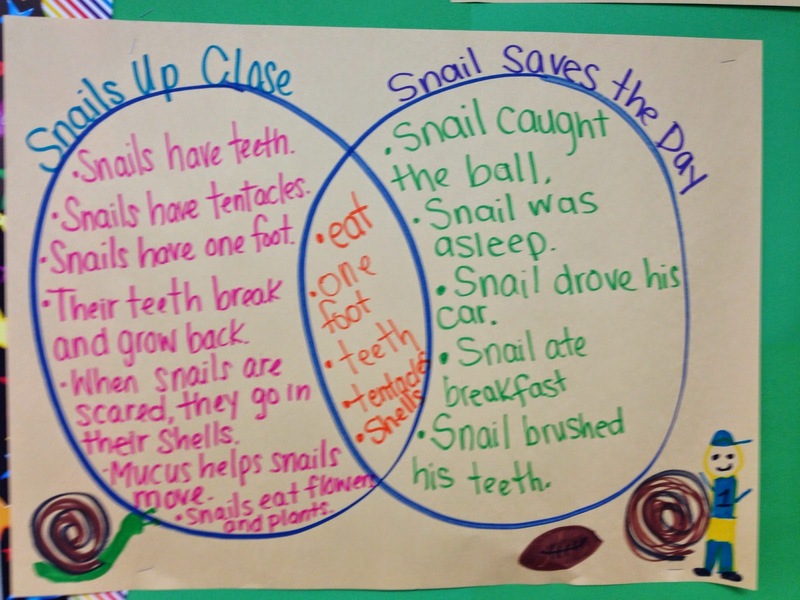 With snails we compared a fiction and non fiction text about snails and the kids wrote their observations and comparisons independently after making this chart. One more week of school, I am powering through! Some days, I honestly feel like i'm herding cats, but I am going to miss these loves next year! I wouldn't trade my experiences or career for the world! 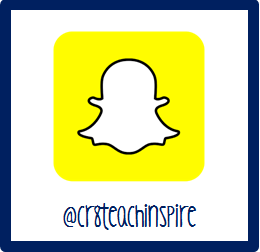 All of my fun math, literacy, writing and engaging activities can be found on my Creating Teaching Inspiring Instagram or Facebook. 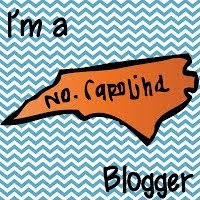 Become my follower and I will follow you back! For every teacher, it is essential to improve the classroom activity. So that he or she can easily develop the way of teaching as well as the way of learning. It ultimately helps students to improve their learning skills through the funny way of teaching. For a teacher it is quite challenging to engage students in the learning process, therefore, he or she will take help of multiple funny and crucial ways for teaching. Thanks for providing such wonderful tips.